Thank you for your donation. 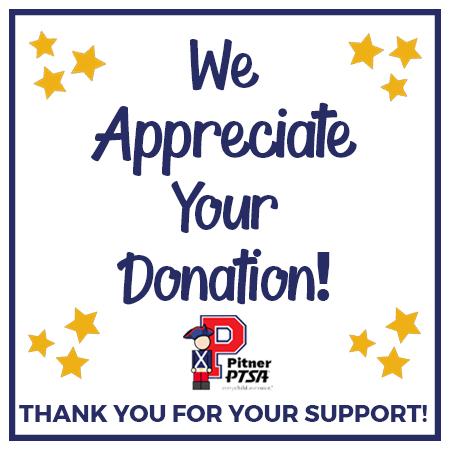 Every penny you donate goes directly toward supporting our school. Want to learn more about what PTSA does? Click here.